non-beauty professionals in the 21st century. "But Natalie, what makes this makeup book different than all the rest?" 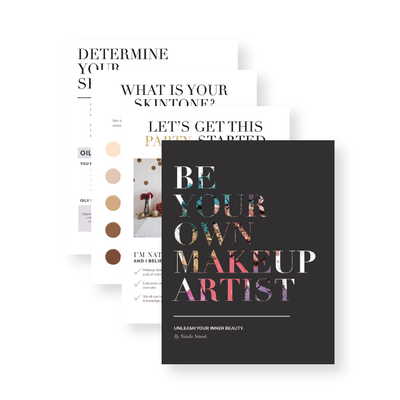 This 60+ page manual contains everything you need to know to become your own makeup artist. You don't have to wear makeup everyday. You don't even have to wear a lot of makeup when you choose to. However, knowing how to wear makeup is such an important skillset that has been left to profit-driven beauty brands, influencers, YouTube celebrities, and, well, you get the idea. This book stemmed from a workbook I wrote specifically for my private lesson clients, then workshop attendees, and has since burgeoned into a bonafide makeup bible! I hold your hand through navigating the complicated and complex world of makeup. Spoiler alert! It's not complicated or complex! 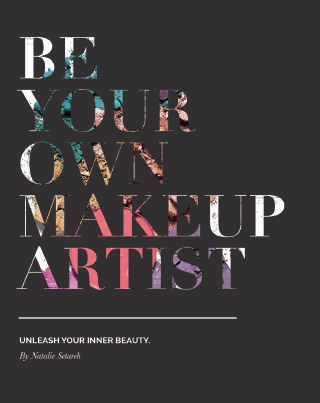 With this book, you'll have *almost* everything you need to know about makeup and how to make it work for you. Period. Currently scheduled to launch in June 2019, preorder your copy today at a discounted price of $19.84 (I love me some symbolism #birthyear) and be the first to receive your digital copy! I promise, you won't regret it one bit! First of all, this book is not-sponsored by any particular cosmetics brand in any way, shape, or form. Nobody has paid or compensated me in any way (ahem, no free products) to mention or use their cosmetic products in a way to teach you. I chose this path and ya'll, this is huge! Because the goal of this book isn't intended to sell to you (either intentionally or unintentionally), then the only other reason for its' existence is to educate you! I wrote this book based on my professional experience and observations as a working makeup artist... and I noticed lots of trends... lots of self-doubt... lots of confusion... lots of misinformation about what my clients should be buying and wearing, that they shouldn't be. This book is for anyone who wants to learn how to shop for, understand the hows/why/whats/wheres of how to apply makeup! Send me an email when it's ready! Please verify your email & then you'll be added to the list! or we can shoot you an email when it's ready!